These 12mm Hex Hub Spacers were designed to widen the track of your Touring Car or Short Course Truck in 0.5mm increments. 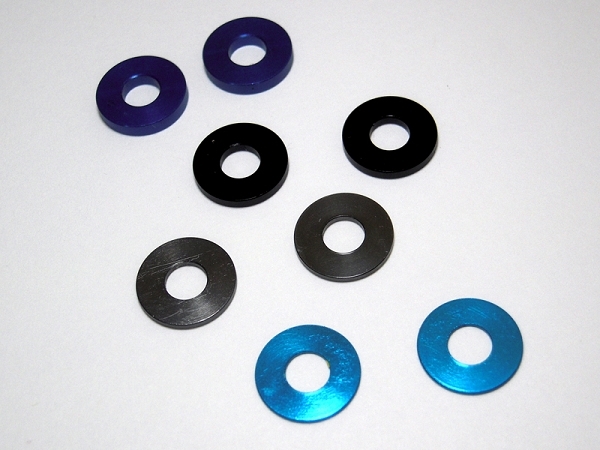 The spacers are precision machined out of Aluminum and color coded for the specific thickness. 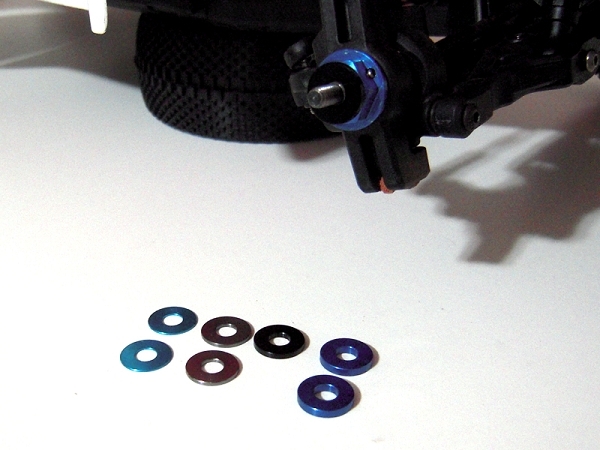 Please note that for short course trucks, we only recommend to use the 2.0mm spacers in the front end and only when used with aluminum hex hubs and wheels in mint condition. Failure to use them like this can cause your wheels to strip out. 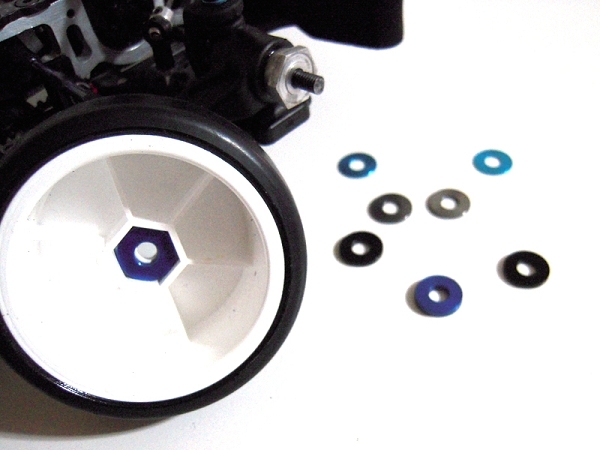 With Touring cars, the 2.0mm spacers can be used in both F/R.